1.2 Responsible for the data processing on this website within the meaning of the basic data protection regulation (DSGVO) is Öl und Schmierstoffhandel Engel, Civitatenweg 6, 02747 Herrnhut, Germany, Tel . 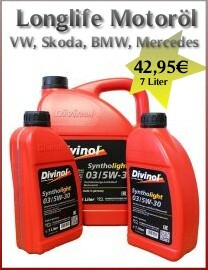 : 035873/33534, Fax: 035873/33534, E-Mail: info @ oel-engel.de. The person responsible for the processing of personal data is the natural or legal person who, alone or in concert with others, decides on the purposes and means of processing personal data. If the goods are delivered by the transport service provider HERMES (Hermes Germany GmbH, Essener Strasse 89, D-22419 Hamburg), we will provide your e-mail address in accordance with Art. 6 para. 1 lit. a DSGVO before delivery of the goods for the purpose of agreeing a delivery date or delivery notification to HERMES, provided that you have given your express consent in the ordering process. -Otherwise, for the purpose of service according to Art. 6 para. 1 lit. b DSGVO only the name of the recipient and the delivery address to HERMES. Passing on is only to the extent necessary for the delivery of goods. In this case, it is not possible to coordinate the delivery date with HERMES beforehand or to transmit status information on the consignment delivery. If the goods are delivered by the DHL parcel service (DHL Paket GmbH, Sträßchensweg 10, 53113 Bonn), we will provide your e-mail address and telephone number before delivery of the goods in accordance with Art. 6 para. 1 lit. a DSGVO for the purpose of agreeing a delivery date or delivery notice to Kuehne + Nagel, if you have given your express consent in the ordering process. Otherwise, we will provide for the purpose of service in accordance with Art. 6 para. 1 lit. b DSGVO only the name of the recipient and the delivery address to DHL. Passing on is only to the extent necessary for the delivery of goods. In this case, it is not possible to agree the delivery date with DHL beforehand or to transmit the status information of the consignment delivery. We use a merchandise management system as part of order processing for contract execution. Your personal data collected during the order will be forwarded to JTL-Software-GmbH, Rheinstr. 7, 41836 Hückelhoven, Germany. If we enter in advance, z. For example, if you pay by invoice or direct debit, we reserve the right, if necessary, obtain a credit report based on mathematical-statistical method using the CRIF Bürgel GmbH, Radlkoferstraße 2, 81373 Munich. To do this, we will send the personal data required for a credit check there and will use the information received on the statistical probability of default for a balanced decision on the creation, implementation or termination of the contractual relationship. The credit information can contain probability values ​​(score values) which are calculated on the basis of scientifically recognized mathematical-statistical methods and whose calculation includes, among other things, address data. Your concerns will be considered in accordance with the statutory provisions. The data processing serves the purpose of the credit check for a contract initiation. Processing is based on Art. 6 (1) lit. f DSGVO from the legitimate interest in the protection against payment default, if we go in advance. You have the right for reasons that arise from your particular situation at any time against this on Art. 6 (1) lit. f DSGVO based processing you object to personal data by communication to us. The provision of data is required for the conclusion of the contract with the payment method you require. Non-provisioning means that the contract can not be concluded with the payment method you have selected. When the Trustbadge is called, the web server automatically saves a so-called server log file, which also contains your IP address, date and time of the call, transferred data volume and the requesting provider (access data) and documents the call. Individual access data is stored for the analysis of security issues in a security database. The logfiles are automatically deleted no later than 90 days after creation. Additional personal data will be transferred to Trusted Shops GmbH if you decide to use Trusted Shops products after completing an order or if you have already registered for use. The contractual agreement between you and Trusted Shops applies. For this purpose, an automatic collection of personal data from the order data takes place. Whether you as a buyer are already registered for product use is automatically checked against a neutral parameter, the one-way crypto-hashed e-mail address. The e-mail address is converted before being transmitted to this hash value that can not be decrypted for Trusted Shops. After checking for a match, the parameter is automatically deleted. Any further data processing takes place only where you have consented to Google that your Internet-- and app browsing history from Google will be linked to their Google account and uses information from your Google account for personalizing ads they on the Web consider. In this case, when you log in to Google during the page visit of our website, Google uses your data with Google Analytics data to create and define audience lists for cross-device remarketing. To do this, Google will temporarily associate your personal information with Google Analytics data to create audiences. 12.3 Use of social plug-ins using the "2-click solution"
We use social networking plugins on our website using the "2 click solution". In doing so, no connections to the servers of the social networks will be established without your explicit consent and consequently no data will be transmitted. The standard plug-in integration creates a link between your computer and the social network providers' servers when you visit the pages of our Web site that contain such a plug-in, and notify the plug-in by notifying your browser the page shown. Both your IP address and the information about which of our pages you have visited are transmitted to the provider server. This applies regardless of whether you are registered or logged in to the social network. Even with non-registered or not logged in users will be transmitted. If you are also logged in the social network Facebook, this information will be assigned to your personal user account. When using the plug-in functions (for example, by clicking the button), this information is also assigned to your user account, which you can only prevent by logging out before using the plug-in. In order to keep control over your data, we have decided to deactivate the corresponding button first. You will recognize this by the grayed out button. Without your express consent - in the form of activation of the button - no link to the server of the social network will be established and consequently no data will be transmitted. Only when you activate the button, the button becomes active (highlighted in color) and a direct connection to the servers of the social network is established. By activating you give your consent to the transmission of your data to the respective provider of the social network. Here are u.a. both your IP address and the information of which of our pages you have visited. If you are connected to one or more of your social network accounts at the same time, the collected information will also be associated with your corresponding profiles. You can only prevent this mapping by logging out of the social networks before visiting our website and before activating the buttons from your user accounts. - Right to complain under Art. 77 GDPR: If you consider that the processing of your personal data violates the GDPR, you have the right to complain to a supervisory authority, in particular in the case of an administrative or judicial remedy Member State of your whereabouts, place of work or place of alleged infringement.